Russian President Vladimir Putin has expressed hopes that the talks on Syria that wrapped up in Kazakh capital Astana on Tuesday will be “a good basis” for the upcoming Geneva peace talks due February 8. “We very much hope that the negotiations in Astana will become a good basis for the continuation of the negotiation process in Geneva,” Putin said ahead of talks with the Jordanian leader, King Abdullah II bin Al-Hussein. 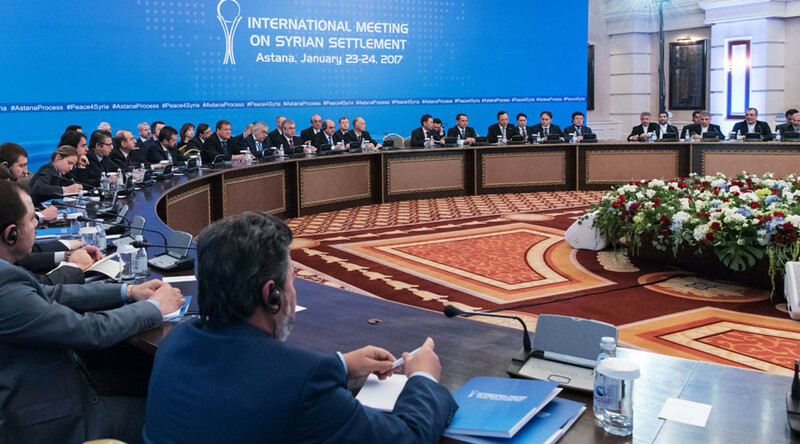 The Russian president stressed that participants of the Astana talks have noted that the crisis in Syria cannot be resolved by military means. Putin’s spokesman Dmitry Peskov has also praised the gathering in the Kazakh capital. “Undoubtedly, it is a success. Undoubtedly, it provided a significant backing for Geneva [negotiation] process, […] the main channel for reaching the Syrian settlement,” Peskov told journalists on Wednesday. Peskov also stated that the sole fact that the Syrian government and rebels have finally met and talked is a “positive” trend, which is why the Kremlin views the talks as a success. 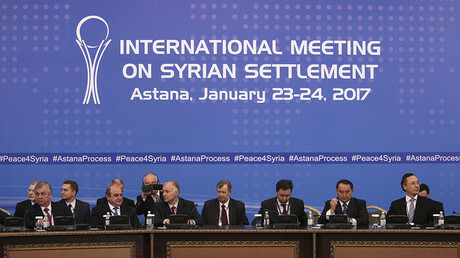 He added, however, that only time can show the feasibility of the Astana process. According to Russian Foreign Minister Sergey Lavrov, among the major achievements of the talks in Astana was the agreement that the armed Syrian opposition will participate in further negotiations regarding the Syrian reconciliation along with the political opposition. “We agreed in Astana that the armed opposition will participate in the negotiations on the settlement in Syria, along with the political opposition, in accordance with the resolutions of the Security Council,” Lavrov told the Russian State Duma. He said all sides agreed there is no opportunity to solve the Syrian crisis through military means. “We have distributed a draft constitution [among delegates] in Astana, which we have worked out, taking into account everything we've heard over the years from the [Syrian] government, from the opposition and from the countries of the region. And in order for no one to suspect the Russian Federation, Turkey or Iran of substituting everything that has hitherto been done with the Astana process, we have invited all the political opposition… to a briefing on Friday, and we will inform them of what occurred in Astana, and on the way we see the Astana process developing in the future,” Lavrov said. 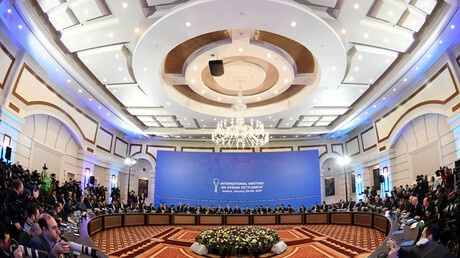 The talks in Astana took place on January 23-24, with official representatives from Damascus, Russia, Iran and Turkey having taken part, as well as a delegation from the Syrian opposition. As guarantor countries, Russia, Iran and Turkey issued a joint statement at the end of the talks announcing the establishment of a trilateral mechanism to support the ceasefire in Syria. They said the Syrian opposition had agreed to take part in peace talks on the issue set for Geneva. The sides also agreed to jointly fight terrorists from Islamic State (IS, formerly ISIS/ISIL), which alongside Jabhat Fateh al-Sham (formerly Al-Nusra Front) was not included in the negotiations. Mohammed Alloush, leader of the Jaysh al-Islam militants, who headed the delegation of the Syrian armed opposition, expressed the rebels’ support for the political solution for Syria based on UN auspices, but demanded the resignation of Syrian President Bashar Assad. Russian military experts in Astana also started work on separating armed opposition groups from terrorist organizations. They were particularly able to map the boundary lines between areas held by the opposition and regions occupied by IS and Jabhat Fateh al-Sham, according to the head of the Russian delegation in Astana, Aleksandr Lavrentiev. A nationwide Syrian ceasefire brokered by Moscow and Ankara and endorsed by the UN Security Council in late December was the first step towards reaching a settlement in the crisis that first engulfed the Middle Eastern state some 6 years ago. The ceasefire is currently being largely observed.